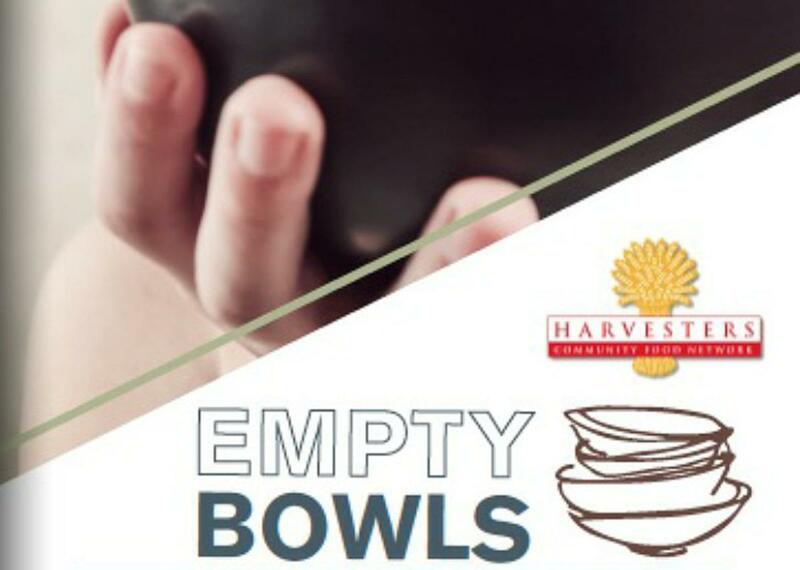 In support of Harvester’s - Community Food Network, ArtsTech will host the 4 th ‐Annual Empty Bowls Project on Nov. 2, 2018, from 6 p.m. to 9 p.m. 1000 Ceramic bowls made by local artists and artisans will be sold and filled with soup made by local restaurants in an effort to end hunger. In addition to bowls and soup there is a silent auction of local art and present local music performers. According to Harvester’s, 1 in 7 people are food insecure in the Kansas City area. That means they have no idea where their next meal is coming from. In the 26‐county region served by Harvester’s, more than 353,380 are food‐insecure and miss an estimated 60.3 million meals a year. And of those, more than 38 percent are ineligible for any federal nutrition programs that help with meals, including SNAP, WIC or free‐ and reduced‐price school meals. Moreover, 108,240 children are food insecure. That means that 1 child out of 6 does not know where their next meal is coming from. The Kansas City Empty Bowls project has raised about $2,500 in past years and is aiming to triple that amount this year. The event is held at ArtsTech, 1522 Holmes, Kansas City, Mo. 64108. For more information, please visit www.emptybowls.com.